Pitches in Rosario prepared Lionel Messi to adjust to any condition in the world, claims the legend himself. Lionel Messi is undoubtedly one of the greatest players in the history of the game. The Argentine International has been excellent in front of goal since making his debut for Barcelona 15 years ago. The 31-year-old forward has won five Ballon d’Or awards, nine La Liga titles, and 4 Champions League trophies. He has also scored 566 goals for the Blaugrana, making him the most prolific goalscorer the world has ever seen. The one thing missing from his collection is a trophy for Argentina. Messi has faced three heartbreaking moments on the international stage, twice at Copa America, and once at the World Cup. Despite his overall unbelievable records, however, the English fans haven’t been completely impressed by the forward. According to them, Messi won’t be able to handle the physicality of the Premier League, especially on a ‘cold rainy night’ at Stoke. The forward is yet to get an opportunity to appear at the Bet365 stadium, and the chances of it happening are pretty low, as Stoke City are toiling in the Championship. But when asked about these claims, the Argentinian responded to his critics in excellent fashion. “They should have seen the pitches I played on in Rosario,” declared Lionel Messi. 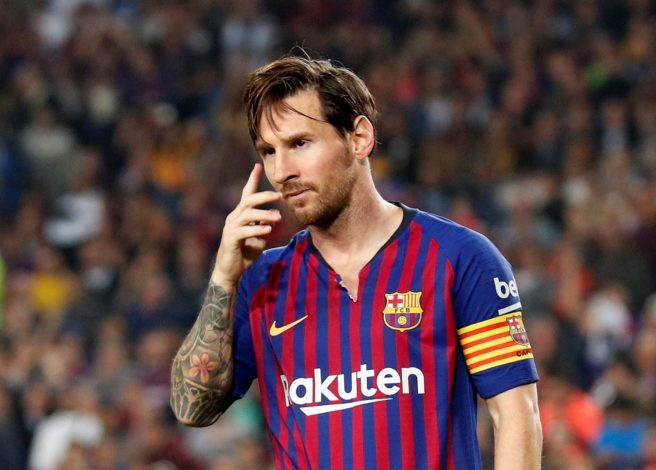 Messi did not have a great start to life in Rosario, as he was diagnosed with a growth hormone deficiency as a child, which saw him bullied on the streets of Argentina. At the age of 13, Barcelona were left impressed by his footballing talent, and brought him to Spain, paying for his treatment in the process. He rose through La Masia’s ranks quickly, and made his first-team debut at the age of 16 in a friendly game against Porto in November 2003. Barcelona lost the fixture 2-0, but it gave us a glimpse of what Lionel Messi had in store for the world. But perhaps the English fan won’t be ready to accept his greatness until he puts in a shift on a cold night in Stoke.